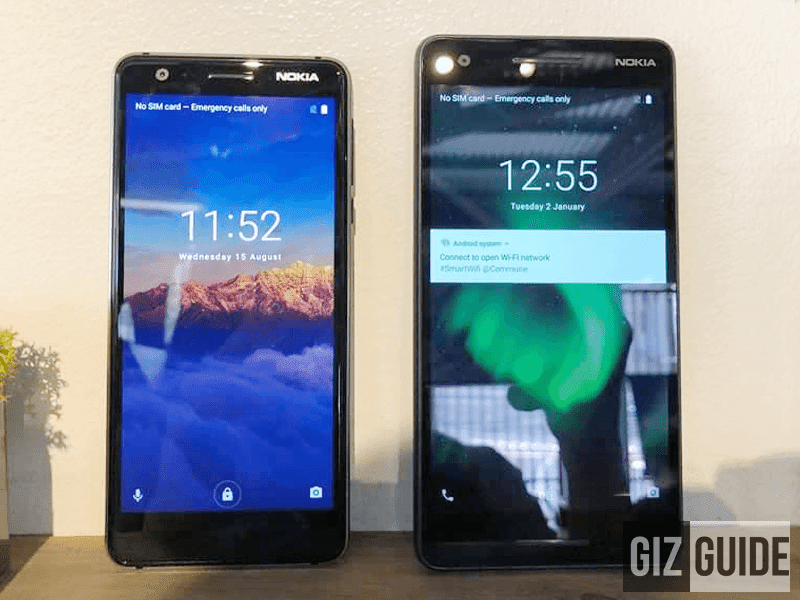 HMD Global just launched the Nokia 2.1 and 3.1. It's the company's newest entry-level smartphones in the Philippines. 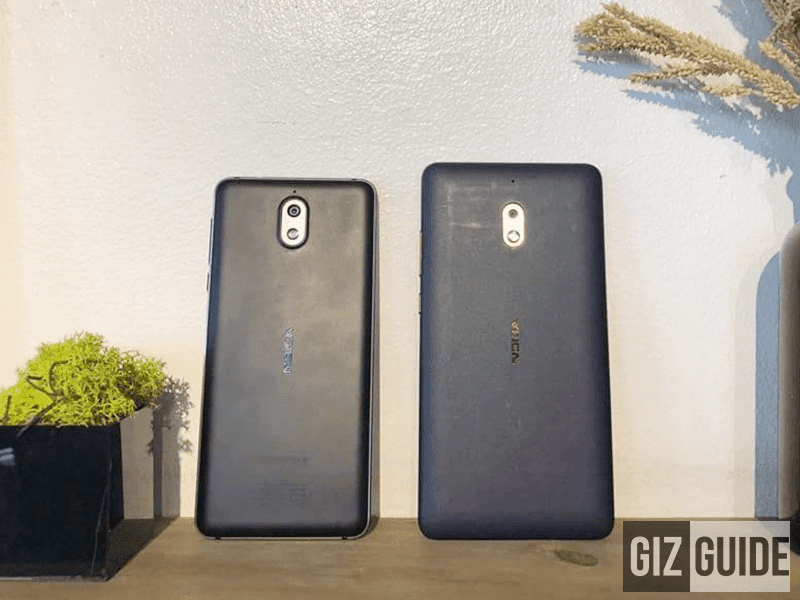 Related: What's new about the Nokia 2.1 and Nokia 3.1? The Nokia 2.1 is the first Android Oreo (Go edition) smartphone of the company. It boasts a "Nordic" design with rounded accent. In front, it has a 5.5-inch HD 1280 x 7re0 resolution with glass protection on the top. It also has a 1.4GHz 64-bit Snapdragon 425 quad-core processor with Adreno 308 GPU, 1GB RAM, 8GB expandable storage up to 128GB via microSD card slot, and 4,000mAh battery capacity. This handset also highlights an 8MP AF main camera with single LED flash and a 5MP selfie snapper. It is also one of the very few with a dual front firing stereo speakers for the price. It also has WiFi, 4G LTE Cat 4, GPS, and dual SIM slots. The colors available are come in blue copper, silver, grey silver colors. Next is the beefier Nokia 3.1. It is powered by Android One this time. We will also get the better 3GB RAM/32GB ROM variant instead of the 2GB RAM/16GB ROM model found on other parts of the world. Anyway, the Nokia 3.1 highlights a dual anodized diamond cut body and a polycarbonate back body. It has a compact, 18:9 5.2-inch 2.5D IPS screen with HD+ 1440 x 720 resolution. Under the hood, the phone runs with MediaTek's 64-bit MT6750 octa-core processor clocked at 1.5GHz and Mali-T860 MP2 GPU. It also has 2,990 mAh of battery. At the back, it has a 13MP f/2.0 main camera with AF and single LED flash at the back and an 8MP f/2.0 84.6-degree wide-angle front camera sensor. The phone is also equipped with WiFi 802.11b/g/n, 4G LTE Cat 4, Bluetooth 4.2, NFC, GPS, and GLONASS. For the sensors, it has proximity, light, accelerometer, and gyroscope. It measures at 146.25 x 68.65 x 8.7 mm and weighs at 138.3 grams. Both phones will be updated to Android P once its out. The Nokia 3.1 will come in black and chrome colors. The phone boots with pure Android 8.0 Oreo OS under the Android One program. It will be updated to Android P as well. Both phones are now available to pre-order at Argomall. They will be available in stores on August 29. Nokia 2.1 and 3.1 are priced at PHP 5,900 and 9,990 respectively.